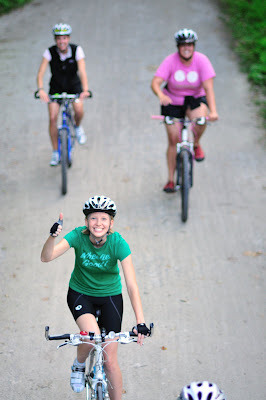 Century Cycles Blog: Spend the weekend on your bike! TONIGHT: Join us in Peninsula for the Night Ride! Always free, always fun, and no registration necessary. Plus need something last-minute before the Night Ride? The Peninsula store is open until the ride starts at 8 p.m. for gloves, energy bars, sunglasses, bike lights, and all those little things that make life worth living. SATURDAY AND SUNDAY: Ride your bike to the Ingenuity Festival this weekend and save 50% on your admission ticket! (Or enter "BIKE" as the promotion code when buying tix online.) ClevelandBikes will have free, safe, secure bike parking off Prospect Avenue just west of E. 14th Street. SATURDAY JULY 18: Walk+Roll Old Brooklyn at Brooklyn Centre! The Old Brooklyn Community Development Corp is bringing bicycling and walking to the All Access Home and Bicycle Tour this year. The event will not involve a street closing, but it will include free bicycle tours, walking tours, trolley tours, local businesses, historic homes and cemeteries in one of Cleveland's most interesting neighborhoods. More info here. Go to our website for even more great rides and listings!